Mix it up! Take your traditional travel vest, add style, add stealth, and of course, add pockets! And we know you can't add just any ol' pockets - they've got to be smarter. We've eliminated the traditional, clunky exterior pockets that reveal you're carrying valuables; now you can carry everything you need - and only you will know what that is. Plus, even though it's loaded with extras, it's super comfortable. 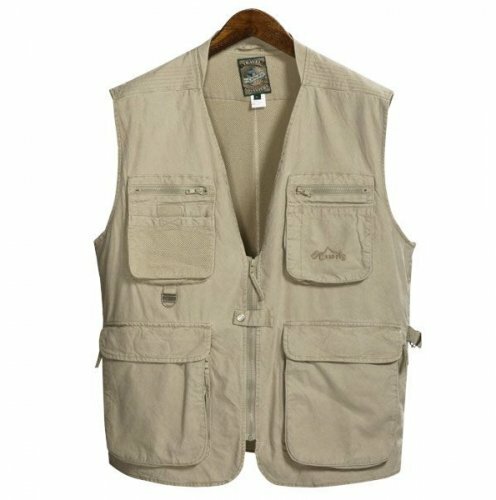 Just ask our fans; our streamlined Travel Vest is the most comfortable and functional travel vest on the market. With 24 hidden pockets and compartments, it remains incredibly lightweight. You'll never believe all of the gear you're carrying since our Weight Management System™ balances the load and our NoBulge™ Pockets keep that streamlined look. Airport security becomes a breeze: just take off the vest and send it through the x-ray with all your gear safely stored inside. This vest holds so much, you'll feel like you got an exception to the one carry-on rule. The lightweight, breathable brushed cotton material is thin enough to control your iPod® right through the fabric. Passport to Great Weekends is a program in Travel Channel hosted by Samantha Brown. In the program, Samantha travels to various locations in USA, Canada, Mexico and Europe and describes her experiences and provides tips in staying in hotels, eating in restaurants and participating in local activities.